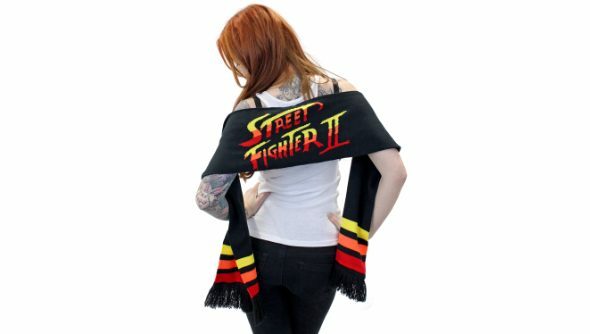 You can get a range of official Street Fighter apparel at up to 60% off this Bank Holiday weekend with all profits going to the charity GamesAid. Need a lowdown on the best PC games? Got you covered, fam. The sale of Numskull’s officially licensed Street Fighter digs is being held through Yellow Bulldog and you can find a plethora of Capcom-endorsed goodies on hefty discount. Street Fighter V’s embroidered white polo is down to £7.99 with a 60% discount, and you can also grab one of the several variations of knitted Christmas jumpers for 29% off at £24.99. Every penny of profit is in aid of supporting charities for disabled or disadvantaged young people and children through the organisation GamesAid. The sale runs through to Monday so if you’ve been waiting for the perfect Christmas gift for that special person you lost to an online battle lobby several weeks ago, here’s the answer.